Here's all you need to know about the 2nd Test between Australia and Sri Lanka from Manuka Oval in Canberra. Under the leadership of Tim Paine, Australia look to finish their home summer on a high by winning the second and final Test against Sri Lanka. This will be the first game in the longest format to be played at the Manuka Oval, Canberra. An innings win in the day/night Test in Brisbane gave Australia their first Test win of 2019 and the hosts will hope to continue the winning run and complete their first Test series win since the Ashes at home last season. While Sri Lanka’s debacle in the first Test can be put down to some ordinary batting in both innings, half-centuries from Marnus Labuschagne and Travis Head led Australia to a good first-innings total of 323 and they will want to continue in that fashion and even build on it. Captain Paine and bowling all-rounder Pat Cummins got ducks but debutant Kurtis Patterson impressed with a steady 30. 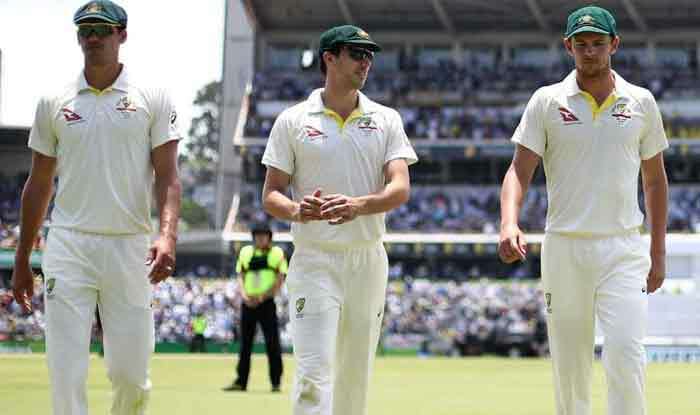 The bowlers did the rest, with Cummins picking up 10 wickets in the match and Starc crossing 200 Test wickets. Jhye Richardson, also on debut, finished with five wickets. Paine has named an unchanged XI for the Test which means there will be no Test debut for the uncapped Marcus Stoinis, who was included in the squad ahead of the second Test. When and what time will 2nd Test between Australia and Sri Lanka will start? The 2nd Test between Australia and Sri Lanka will start at 5:00 AM IST (February 1st ). The toss will take place at 4:30 AM IST. Where will the 2nd Test between Australia and Sri Lanka will take place? The 2nd Test between Australia and Sri Lanka will take place at the Manuka Oval in Canberra. Which TV channel will live broadcast 2nd Test between Australia and Sri Lanka in India? The 2nd Test between Australia and Sri Lanka will be broadcasted live on Sony Six and Sony Six HD. How to watch free online live streaming of 2nd Test between Australia and Sri Lanka? The free online live streaming of 2nd Test between Australia and Sri Lanka will be available on Jio TV, Sony Liv and Airtel TV. What are the squads for the 2nd Test between Australia and Sri Lanka? Australia’s playing XI: Marcus Harris, Joe Burns, Usman Khawaja, Marnus Labuschagne, Travis Head, Kurtis Patterson, Tim Paine (Captain/WK), Pat Cummins, Mitchell Starc, Jhye Richardson, Nathan Lyon. Sri Lanka: Dinesh Chandimal (Captain), Kusal Mendis, Dhananjaya de Silva, Roshen Silva, Niroshan Dickwella, Kusal Perera, Lahiru Thirimanne, Sadeera Samarawickrama, Dilruwan Perera, Lakshan Sandakan, Suranga Lakmal, Kasun Rajitha, Lahiru Kumara, Dimuth Karunaratne, Dushmantha Chameera, Vishwa Fernando, Chamika Karunaratne.